A suspect who fired at officers while being barricaded at a Brea motel was arrested and taken into custody on Monday, Aug. 15, 2016, according to police. 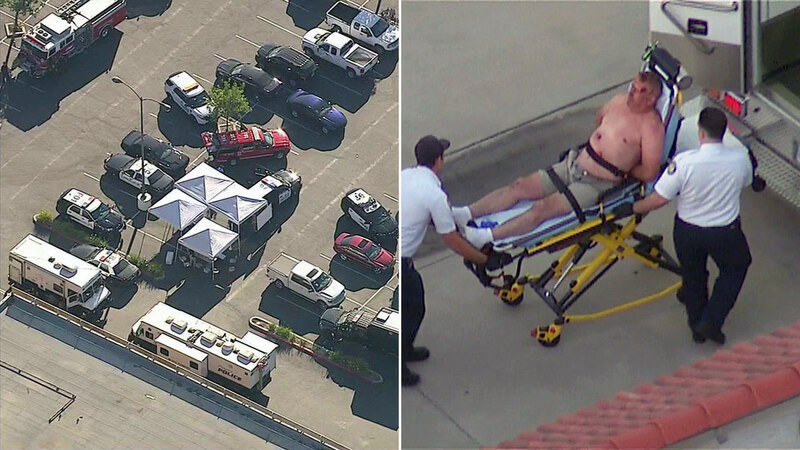 BREA, Calif. (KABC) -- A suspect who shot at officers while being barricaded in a Brea motel for hours was taken into custody Monday evening, according to police. Authorities said they responded to a call of a despondent man at the Hyland Motel in the 700 block of South Brea Boulevard at about 3 p.m. When officers arrived at the scene, they said the man fired at them through the door. No officers were injured. Officers and firefighters who originally responded to the scene had to be rescued with an armored SWAT vehicle, authorities stated. After being barricaded for several hours with SWAT outside the motel, the man was eventually shot with bean bags and tackled by SWAT. The man was taken to the hospital with minor injuries, according to police.